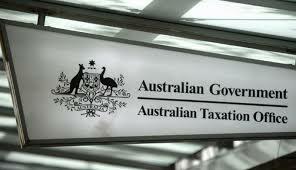 A new report released earlier this month has found ‘unusual’ tax practices being adopted by various multinationals who are currently providing outsourcing services to the Australian Taxation Office (ATO). It is alleged these companies who provide the labour to run various call centres for the ATO and Centrelink are setup in tax havens around the world, thus paying minimal Australian tax. As a result of the above, a call is being made for the ATO to undertake closer scrutiny into entities that provide services to the ATO. The information provided on this website has been provided as general advice only. We have not considered your financial circumstances, needs or objectives and you should seek the assistance of your GPS Wealth Ltd (GPS) Adviser before you make any decision regarding any products mentioned in this communication. Whilst all care has been taken in the preparation of this material, no warranty is given in respect of the information provided and accordingly neither GPS nor its related entities, employees or agents shall be liable on any ground whatsoever with respect to decisions or actions taken as a result of you acting upon such information.